Just two days after assaulting and taking control of Ramadi’s government center, the Islamic State launched a coordinated suicide attack against the Anbar Operations Command headquarters, a corps-level command that is located in northwestern Ramadi. At least three suicide bombers opened the fighting by detonating their explosives at the gates of the headquarters, killing five Iraqi soldiers, according to The Associate Press. The suicide assault was followed by a wave of Islamic State fighters. Iraqi troops then retreated from the command center, according to Jean-Marc Mojon, AFP’s bureau chief in Iraq. 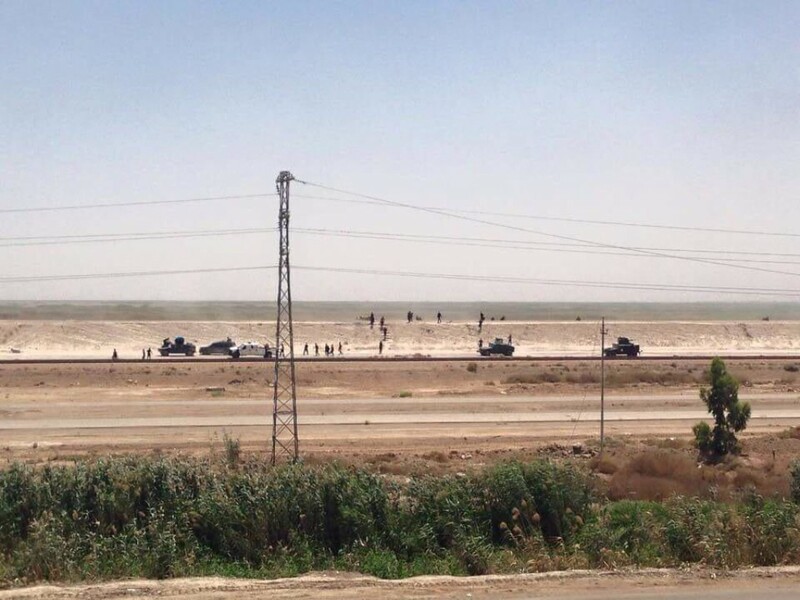 “IS takes over #Anbar operations command in #Ramadi after #Iraq forces retreat: governor spokesman,” Mojon tweeted. 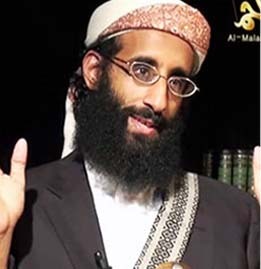 Mojon’s report was mirrored by Islamic State supporters. “Complete control of the operational command headquarters,” one stated. “Islamic State imposes control over the full city of Ramadi after storming 8th Brigade, the most important Safavid [a derogatory term for Iranians] stronghold,” an official statement by ‘Amaq News, which is linked to the jihadist group. US airpower was unable to halt the Islamic State’s takeover of Ramadi. 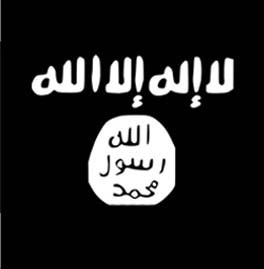 The US military said that it launched seven airstrikes between May 16 and May 17 that targeted “one large and five small ISIL tactical units and an ISIL IED facility, destroying four ISIL resupply structures, three ISIL fighting positions, two ISIL buildings, two ISIL heavy machine guns, an ISIL VBIED and an ISIL motorcycle.” ISIL is the outdated acronym for the Islamic State of Iraq and the Levant (or Syria). The US military continues to use the term ISIL despite the fact that the jihadist group changed its name to the Islamic State nearly one year ago. Iraqi military officials have downplayed the loss of Ramadi and the Anbar Operations Command. The Ministry of Defense is claiming that the Awakening controls 75 percent of Ramadi’s sports stadium and the military is in “full control” of the Mukhabarat neighborhood, according to the All Iraq News Agency. If the reports that the Iraqi military is pulling out of Habbaniyah and Khaladiyah, then the Islamic State is in effective control of all of Anbar provinces’ major cities and towns from Fallujah to Al Qaim. 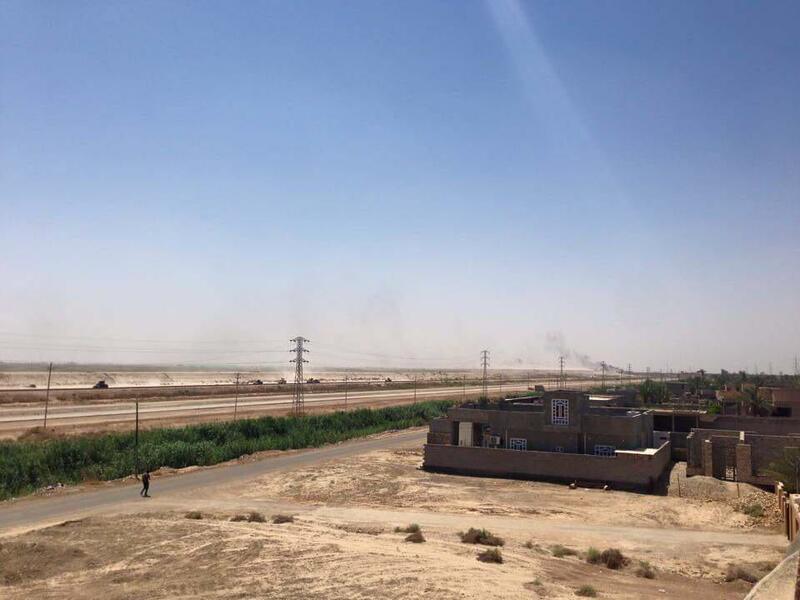 The town of Baghdadi, which has exchanged hands between the government and military several times, and nearby Al Asad Air Base, remain under Iraqi government control. 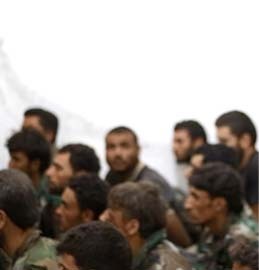 Several hundred US military trainers are based at Al Asad. 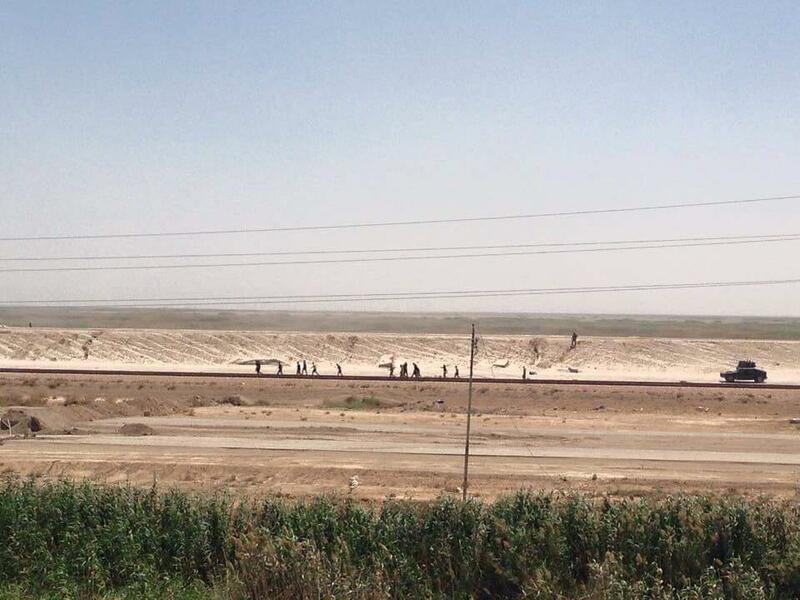 Additionally, Haditha and its dam are currently garrisoned by the Iraqi military and supporting tribes. The USA can’t continue to rescue Iraq an the rest of the Middle East from its self. Fighting over there is a way of life. There has never been prolonged piece of the Middle East. The US has lost enough of our brave military troops to the mess over there. Plus the financial cost of continuing to help countries that can’t stop fighting with each other. Enough is enough! You are not facing reality. Islamic State has made it crystal clear that their ultimate goal is the global establishment of an Islamic Caliphate, starting with the Middle East, followed by Europe and the U.S. Many people laughed at a very similar goal put forth by the Axis powers in the 1930’s leading up to WW2, well before Germany possessed the requisite military strength even to conquer Europe, however Hitler ultimately came much closer to realizing his global ambitions than most people today realize. In this current war there are many “game-changers” which could occur virtually overnight to give IS much more power to achieve it’s goals than it currently has. Failure to believe the stated intentions of dictatorial powers has historically led to either the worst wars or ultimate defeat and it looks every bit as though, at present, we are following this time-worn path. We have gotten into a mind-set that all of our wars will inevitably be fought on our own terms, when and where we choose, a dangerous assumption indeed because the longer we procrastinate, the fewer our options will be. There are always a million reasons why we should not be involved, but there is one very good reason why we should. The simple demographics of Iraq clearly show that ISIS cannot take and control much more ground then they currently do. The sheer preponderance of Shias will prevent ISIS from gaining much more ground and they are never going to take Baghdad. Especially as their rear is in contact with an increasingly effective and ever larger Kurdish army. you called it “rescue Iraq”, didn’t it? The Islamic State still has the initiative. They are capturing billions in weapons/munitions in both Iraq and Syria. This after limited airstrikes for 8 months. Given that IS already has significant amounts of US origin systems (Humvees, m113, etc.) I believe that finding them from the air intermingled with Iraqi army elements is difficult at best. Quite confusing for kinetic operations and policy makers. It would be risky to leave US personnel at the Al Asad Air Base. They can’t trust any incoming vehicles or personnel at all. I am very impressed with the BMP VBIED. If western trainers are pulled out, it will fall in short order. It’s really messed up and can get worse. There are no good options left from the West’s perspective. You make some good points, m3. But we will withdraw only at our our own extreme peril. We simply have to engage these guys on foreign territory. With our southern border in disarray, there’s no reason why they can’t infiltrate and attack us internally. That is, if they put their focus on it. Do we want to see Detroit and Houston attacked by VBIEDs? Whereas, if we press them abroad we will force them into a reactive posture. There’s no way out of this barring putting everything back the way it was before we interfered in the first place. Re-install a strong man with dictatorial powers in Iraq and we will have a solution, perhaps not a pretty PC answer, but an effective one nonetheless. @Rolan Southern border? 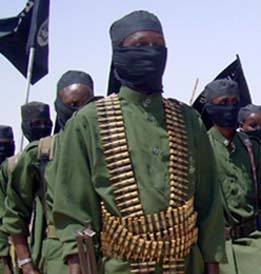 what jihadists have come through our southern border? Compared to our northern border the southern border is ‘secure. Jihadists come by airplane and by way of the northern border with Canada. The reinstall plan has been tried before. The British come to mind. In 1839 in Afghanistan they reinstalled Shah Shujah al-Mulk. It doesnt work. We tried it in Iran (operation Ajax 1954). Total failure and the continued enmity of the Iranian people was the result. Leave nations alone to chart their own course. Combine this with the collapse of SyAA defense lines in Northeast Homs where IS has cut the Main Supply Road to Deir Ezzor, captured several gas fields, and holds a toehold north of Tadmur and is besieging the Hajjar Supply Base and its attached Scud Missile Missile base (I hope there is no VX warheads stored there “shudders at what might be”), and its clear Obama’s strategy has failed. Tactical victories are not inflicting operational and strategic defeats on IS whose morale has not crashed yet. What strategy has worked?? Nuclear weapons next. This is all tribal warfare and we should get out of the way. The US and its coalition partners has been doing a fine job with those air strikes but not so much when it comes to arming those involved in these battles. The US, in particular, wants to arm the Sunnis and the Kurds thru the central government in Iraq. They should have been arming them directly as the Germans has been doing for a long time. This is tribal AND religious warfare and it was messed in this before Iraq was even a nation….what makes you think it”ll stay over there in a world filled with nuclear weapons? Someone forgot to mow the grass, and now the weeds are taking over. From a purely strategic point of view, every big city (Raqqa, Mosul, and now Ramadi) that is left in the hands of the Islamic State provides them with more manpower and tax revenue to continue their operations. It is quite apparent that Iraqi forces do not have the resolve to fight drawn out pitched battles against IS forces. Short of a major Iranian backed offensive, it does not seem like any power has the will to take back the cities. If they are to be left in the hands of the enemy, they must be destroyed. Leaflets should be dropped warning civilians to flee, and then they should be carpet bombed off the map to deny their use to the enemy. carpet bomb with what assets? The only country capable of sustained strategic bombing is the US and none the of the assets necessary are there. Although I suspect that we are leading to a case where the US and the world will begin Desert Storm 3 – Return to Baghdad within the next 12-24 months. If Obama really wanted to defeat ISIS we would have A10 Warthogs flying over Ramadi now. A-10s would put a halt to the assault quickly. But instead were back to believing the Iraqis can handle the fighting. We saw what took place initially when ISIS overran Iraq. Iraqis don’t know how to fight. All they know is how to run. Better to carpet bomb Ramadi since most of the Iraqis have fled or are about to be executed if captured. A few drone strikes now and then won’t stop ISIS. We are retiring the A-10s for the non-operational F-35. Air Force had to be forced kicking and screaming to deploy the A-10s. That and we don’t have enough of them and the bases close enough with the requisite logistics for them to fly five sorties a day. Finally Air Power is overrated. 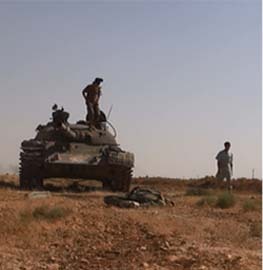 Most IS fighters are killed in artillery barrages which are closer to the action and always on call. What ISF needs is a better Forward Observer Team that can concentrate heavy destructive fires on IS concentrations to break up their attacks. They also need better counter-battery radars to pinpoint and destroy IS artillery and mortars. IS has clearly learned from the Insurgency and Syrian Civil War, plus observed drone use and is making their artillery organization more effective. Luckily for the US, IS’s captured stock of MANPADs are either defective or suitable only to attack helicopters and not high flying fast aircraft, and their AAA doesn’t have RADAR tracking and ranging leaving them to eyeball it. They have captured some Shilkas though and they posted pics of capturing three more for a total of 9, but I have seen no evidence of their deployment. ONE Iraqi soldier sees them coming ? How fast are these bulldozers moving ? Apparently ISIS knows how to fight. 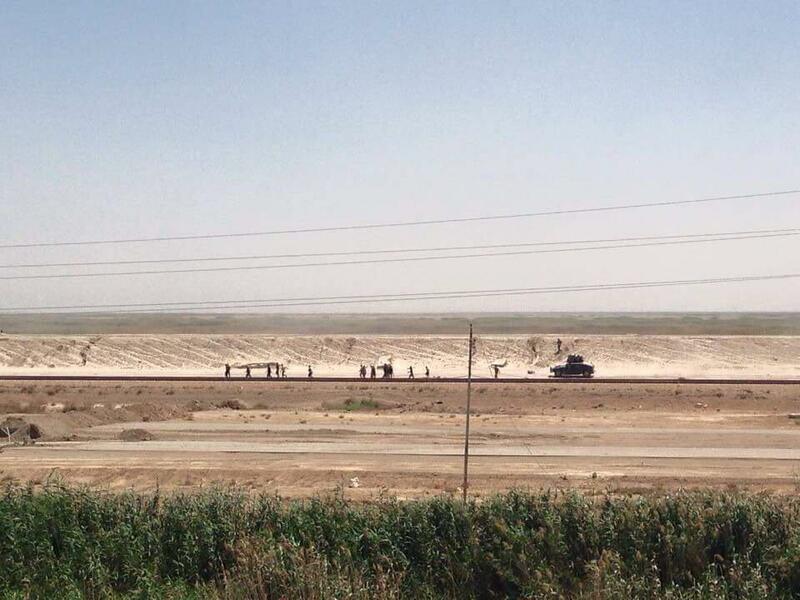 All the American trained Iraqi troops just cut and run. No wonder Obama pulled out of Iraq. This is bordering on Keystone Cop territory. Let the 2 sides sign a peace accord or let them battle each other for another 25 years. The US military left and, we aren’t sending any more boots back into this hellhole. A-10s and C-130 Hercules gunships. Those 2 will make those Daesh terrorists crap in their pants out of fear. How long before they grow a set of balls and learn to hold a position ? To all you posters that say we should just cut and run, don’t you see that they are coming after US (here in America) eventually? They have made that plan quite crystal clear. You discourage the good and you encourage the evil. I say firebomb the place. Use napalm or whatever will get the job done. If they do it right, they can minimize the structural damage. Get all the civilians out of the affected areas. Obviously, the Iraqis are having trouble retaking areas because of the planted IED’s. Firebombing the affected areas may be one good option of clearing the IED’s AND eliminating the terrorists hiding among them. How will they attack America? In any way that’s like or worse than the Europe style attacks that they need the ground of Iraq/Syria for and can’t just do now, the attacks in Europe was own initiative then in some cases dedicated to IS which hailed the martyr. Europe is stopping planned attacks all the time so could the US if you’re not already. That they don’t exist in the form of a nation is irrelevant. That’s the way we are used to see terror organizations. “We’re not going to get a long-term military solution for the country,”Obama says. In the sliding scale of Islams radicalism we have liberals, moderates, conservatives islamists and jihadists, basically in that order. Somehow and for some reason, we are arming jihadists (the most prone to violence of them all), sending them to fight the liberal and moderate Syrian people and we call them moderates. They are not moderates they are jihadists!!! Moderates and liberals do not fight unless attacked. My fear is that by the time the Alawite people decide that for their own very existence and survival, Assad has to go, it will be too late. The American backed sunni jihadists will smell the blood in the water and reject compromise in favor of total victory. QA victory that will not go to American backed “moderates” but rather to Nusra and IS. 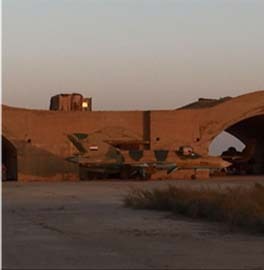 LWJ, have you guys received any pictures of the Anbar Operations Center (AOC) or Camp Ramadi as IS over-ran them? Just curious….I sat in a couple of meetings at the AOC and was stationed at CP Ramadi. This situation is certainly sad but not unexpected. Then they came for the Jews, and I said nothing because I was not a Jew. All the great thinking has been done by great men thousands of years ago. All the great battles have been thought, and lessons taught. No conclusion. Iraq was pacified by 2009. Obama abandoned our hard won strategic gains there, and abandoned Iraq to our enemies Daesh and the Iranian’s. This is just a taste of what’s to come as the regions descends into chaos and war. Iraq was never “pacified”. We didn’t structure it to be that way. Installing al Maliki as Prime Minister was never going to ensure peace. But we should not have left Iraq to fend for themselves – big mistake. The Iranians installed Maliki and the Iraqis threw us out. Iraqis made this mess, mostly attributable the Maliki. The Sunni Death Cult did not spread from Iraq to Syria, it spread from Syria to Iraq. Syria (and Iran) supported AQ and ISI (Islamic State of Iraq; the precursor to ISIS) for almost a decade. The dog just got off the chain and came back and bit them. Of course aided by Maliki pushing the Sunnis back into the arms of AQ (or ISIS) due to Maliki disinfranchising them, in direct conflict with the promises he made to the U.S.
We gave the Iraqi Government all the white space they needed in 2011. They screwed it up on their own with a lot of help from the bad choices Assad had been making for almost a decade. I have read on here a number of Iraqi headquarters being attacked and overrun. Where are the supporting battle groups for these headquarters. Are the Iraqi’s down to their headquarters. Are they in that bad of shape. This does not look good for the Iraq. Will we soon be hearing of Isis in the streets of the capital before long. Well, since the US created Islamic State I guess they can call them whatever they like.. This is looking rather bad for forces opposing the expansion of ISIS. The Iraqi forces have shown little appetite or competence for battle, the ability of Iraqi government to persuade Sunni tribal leaders to resist ISIS is suspect, the US will and should not put boots on the ground and no other country is willing to take on ISIS (other than the material support from Iran). The solution – imperfect as it is – lies in exponentially increasing airstrikes against ISIS to make it unviable for it to advance or even hold on to its gains. This is, of course, a massively tough proposition, mired with logistical difficulties. But of all the bad options, this appears to be the least bad! Air Power will not work unless you drop an atomic weapons. Only infantry can secure ground. The best and only sure option, one that leaves many future options to be explored, is to let the Middle East countries sort this out for themselves except for times when an option reveals itself and we can take it to influence the situation one way or another. This may take decades. That is good for we, the US and Western nations, should take this time to rearm to WWII proportions so when all the actors in the fighting are exhausted, we can move in and subdue the region. Then a multi decade effort can begin to drag the population into the 21st century. This effort will be paid for mostly by oil. We tend to forget that there are an estimated 20-25,000 foreign fighters with ISIS now, with 1000 a month continuing to join… At that rate, it won’t be long until there are more than 50K from more than 100 countries. What happens when they return to their homeland, which some will do, to reunite with family and friends or conduct jihad. How will Europe and America deal with terrorism then? We can fight them on their battle ground now or on our own turf in the future, but make no mistake, we will fight them somewhere for the next 30 years or more. There are no other options to make them stop. And on top of that, US and Europe (the western world) continues their policy of Muslim mass immigration. There will be huge conflicts in the future, that is for sure.